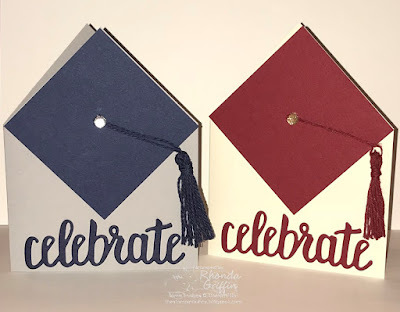 Once again, I needed some graduation cards, but I wanted to simplify over the one I typically make with a bouncy springy hat/mortar board shown first here. 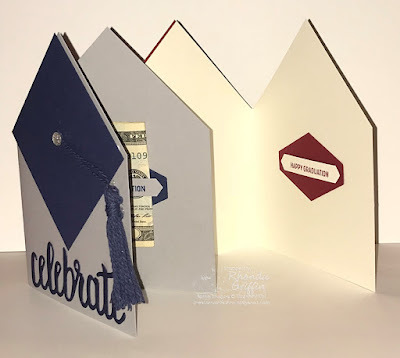 This new design, inspired by a narrow notecard creation by Kim Cook shown: HERE , made quicker work of gift card holder cards with little loss of cuteness in my opinion. The tassels were made with Night of Navy current Medium Baker's Twine (146336), and the Cherry Cobbler tassel was made with a retired twine. 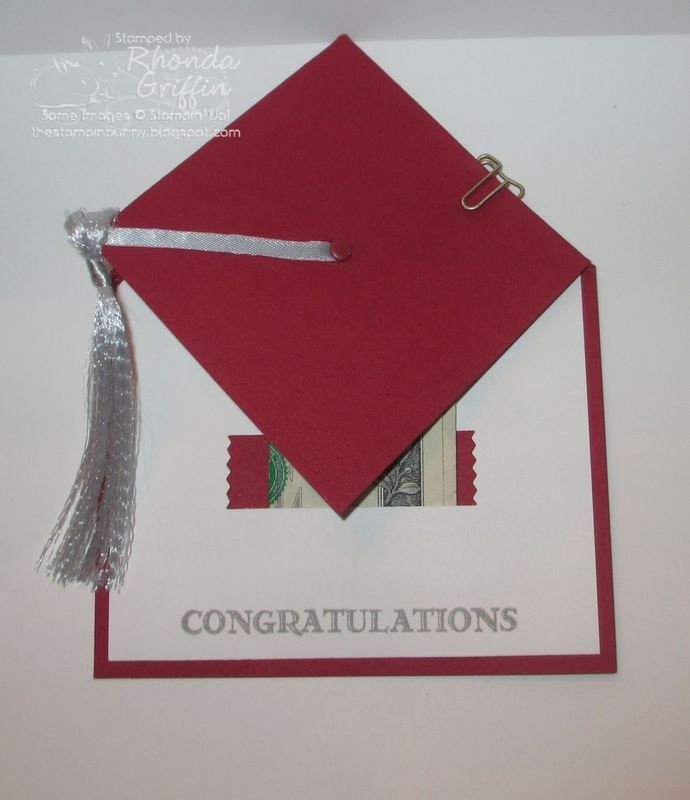 A 3X3 square of school-colored cardstock was used to trace a line on the card base which was then cut away. The smallest of the faceted gems made a nice attachment point in the middle of the square hat top. 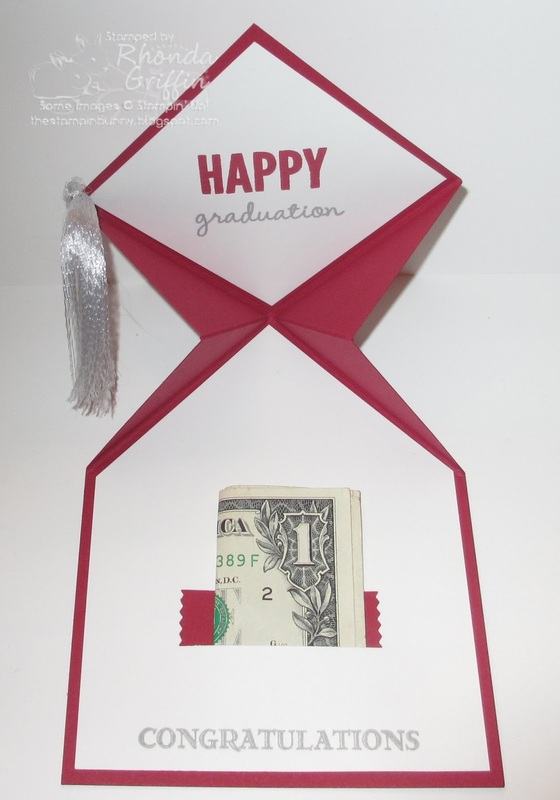 Inside, the holder uses a glue dot at each end of the classic label punch to hold the cash. 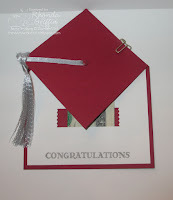 I needed Crimson and Cream for the University of Oklahoma and grey and navy for Edmond North High school. I think the results were quick and cute.